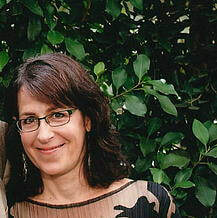 Elizabeth Peña is an archaeologist, museum professional, and academic and arts administrator. She served as Director of the Art Conservation Department at Buffalo State College, Curator of Anthropology at the Buffalo Museum of Science, Co-director of Archaeology at Old Fort Niagara State Historic Site, and Interim Chair of the Museum Studies Program at John F. Kennedy University. In addition to serving as Executive Director of CARE, Dr. Peña is teaching Museums & Social Justice at the University of San Francisco.